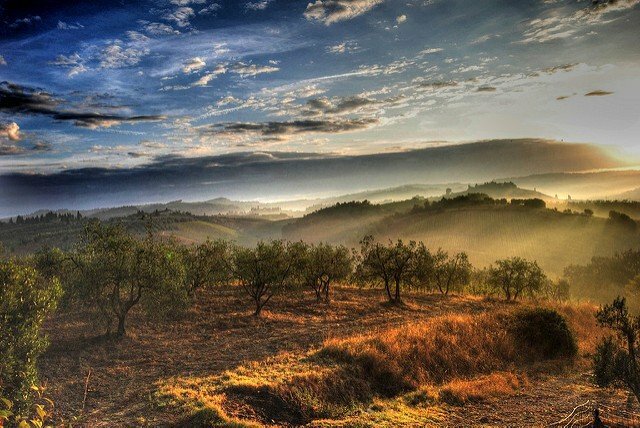 The romance of Tuscany has kindled many an imagination from writers to painters to philosophers and film crews over the centuries. From our collective trips to this famously beautiful area here are 10 of our favourite sparkling jewels in the Tuscan crown…. The largest Island of the National Park of the Tuscan Archipelago Elba is rich in history dating all the way back to the Ilvati tribe and later The Etruscans, The Romans and in 1814 Napoleon himself was exiled here. 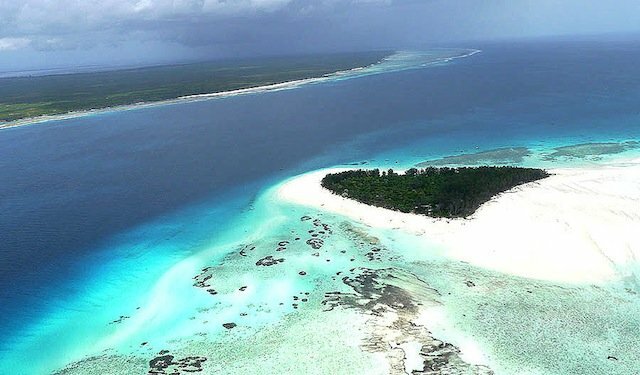 Now it is the perfect place to visit impressive fortresses and Napoleonic residences and to make the most of beautiful sandy beaches and clear blue sea to rival the Caribbean! Much quieter than Sienna Lucca is dominated by it’s almost completely intact city walls. 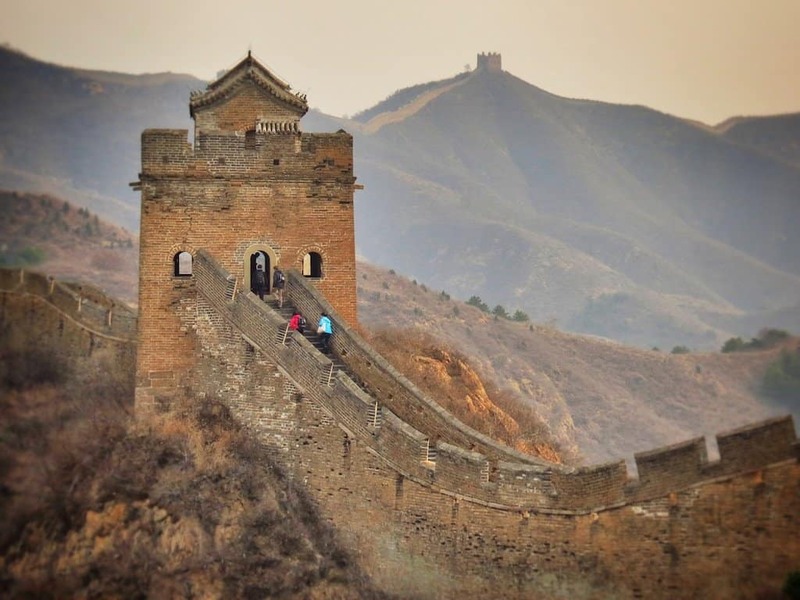 As the city grew and evolved the walls were maintained and have now become a sort of high park around which you can walk or cycle whilst admiring the beautiful historical city within. 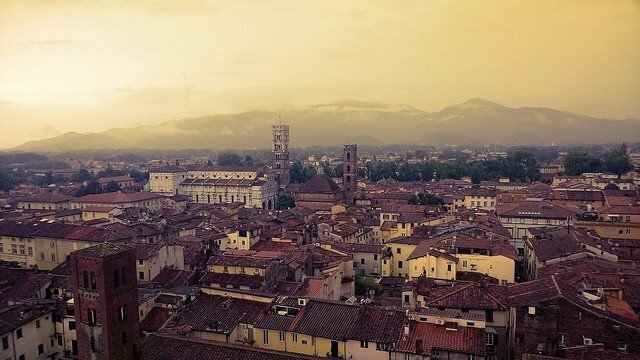 Traces of Lucca’s ancient history are still visible in the shape of it’s piazza’s and the archaeological remains beneath some of it’s most prominent churches and the red rooves and white walls of the old residences add to the charm of this compact little city. From Ponte Vecchio to the Uffizi Gallery. Michaelangelo’s David to the greeny grey marble of the Duomo Florence is one of the most iconic cities in the world. Stroll through it’s ancient streets and you will feel like you’re part of a painting yourself. 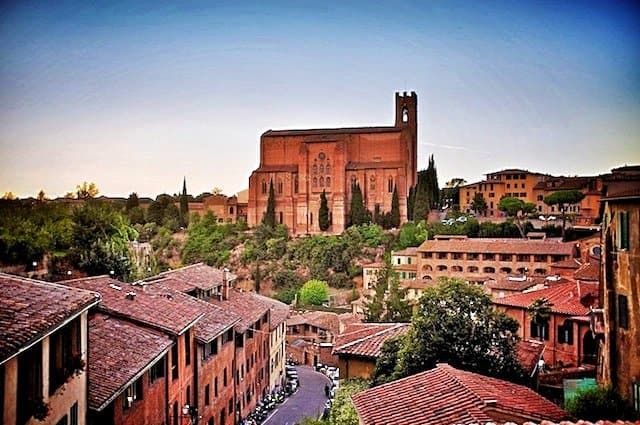 It’s a shoppers haven too, with wonderful weekly vintage markets around the Duomo and of course the famous jewellery and leather shops on and around the old bridge. It is also a vibrant place for a night out with fantastic pubs and wine bars to choose from and restaurants of course! As with all Italian city’s I suggest avoiding eating on the main piazza’s and exploring some of the side roads instead! Also, if you have a chance take a bus up past the beautiful aristocratic villa’s of the merchants of old and have a drink in Fiesole whilst enjoying panoramic views of the city stretched out before you! The Chianti Wine district is everyone’s perfect picture of Tuscany. Red roofed houses clad in bright climbing flowers, quaint streets, gentle emerald green hills covered in vineyards and enough wine tasting establishments to satisfy the most discerning connoisseur! 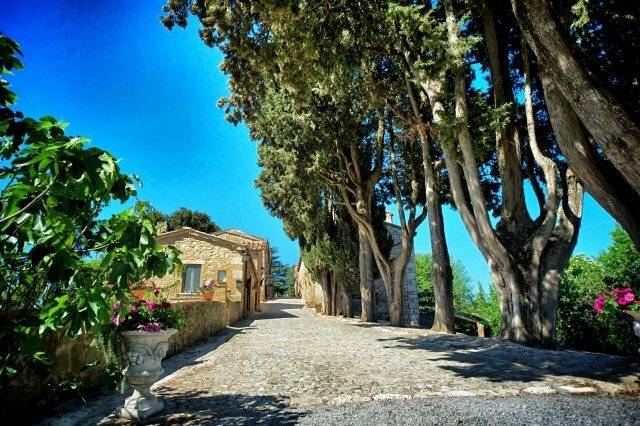 If you’re a foodie this is also the place for you, with numerous restaurants and agritourismo serving up delicious locally sourced traditional dishes such as Spaghetti al Vino RossoRosso, Ragu or the more modest but equally delectable Ribollita. I recommend hiring a car to get the best of the district as public transport can be very limited. Definitely one of the most beautiful places to visit in Tuscany, 1770 feet above sea level Volterra perches like a Gothic fairytale at the top of a rugged hill, as you wind your way around the hill and enter the town through the intricately sculpted gate in the medieval walls it is very easy to see why Stephanie Meyer chose this as the home of the ‘Volteri’, the oldest and most powerful vampires in the world! Refreshingly the town hasn’t cashed in on this connection and, whilst you will find the odd Edward keyring or fridge magnet among the other knick knacks in the souvenir shops they by no means dominate the floor! The town is a real delight to stroll around with ancient piazzas, and churches and spectacular views of the land around it. Stop for a delicious Calzone on the main street and you won’t be hungry for hours! The beautiful and ancient hill town of Montepulciano is another must on the Tuscan itinerary. History buffs will love the town as it’s foundations can be dated back as far as 715 and the many layers of it’s past are uncover-able in the churches and museums of the historical centre. Wine lovers will also have a treat as the town has not one but two famous wines Vino Nobile di Montepulciano and Rosso di Montepulciano. 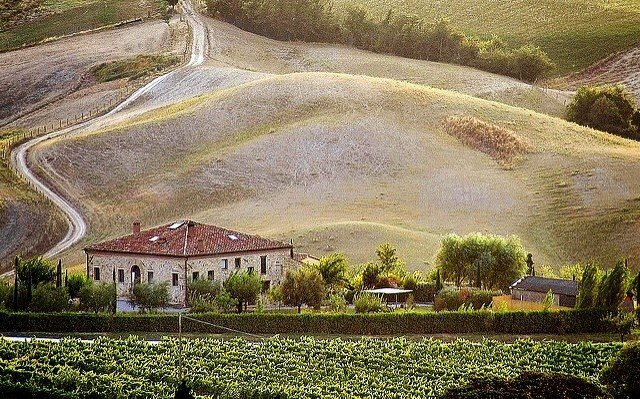 The rich and harmonious landscapes of Val d’Orcia that traverse the River Orcia in southern Tuscany are among the most beautiful in Europe. Golden fields of wheat and sunflowers, olive groves and vineyards make up just some of the patchwork of this breathtaking valley. 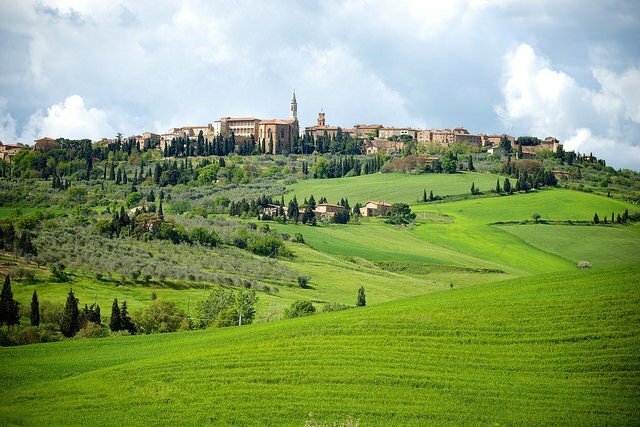 Named as a UNESCO World Heritage Site in 2004 Val d’ Orcia’s vibrant nature, punctuated by ancient hill towns has been the inspiration for many a Renaissance painting and is an absolute must on any visit to Tuscany. The charming hilltop village of Pienza in the midst of the magnificent Val d’ Orcia is widely considered the ‘Ideal city of the Renaissance’ The entire place was the brainchild of the great humanist Enea Silvio Piccolomini and architect Bernardo il Rossellino and was meant to exemplify the principles and philosophy of the Italian Renaissance. Pienza became the solid materialisation of these utopian ideals beginning with the harmonious trio of the cathedral, the papal palace and the town hall. Arezzo is one of my favourite places in the world let alone Tuscany! This compact and colourful city sits atop one of the many Tuscan hills and showcases some of the best examples of Florentine architecture outside of Florence itself. The wonderful Piazza Grande with it’s many coats of arms set into the surrounding walls is a really wonderful place to sit and watch the world go by. 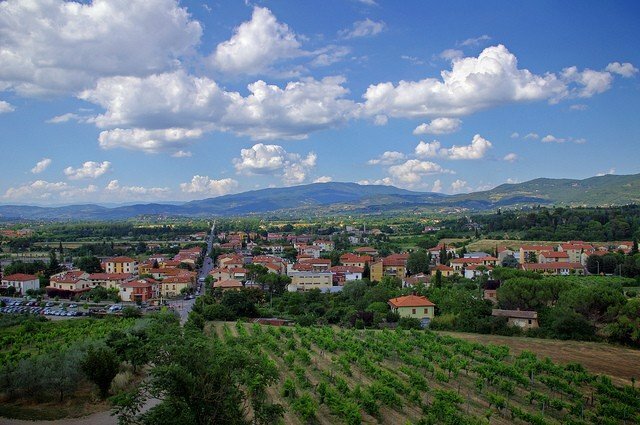 If you climb up to the top of the city you are met with a beautiful vista of rolling Tuscan hills and vineyards. The city is quite alternative and during July becomes alive with music and artisan markets. 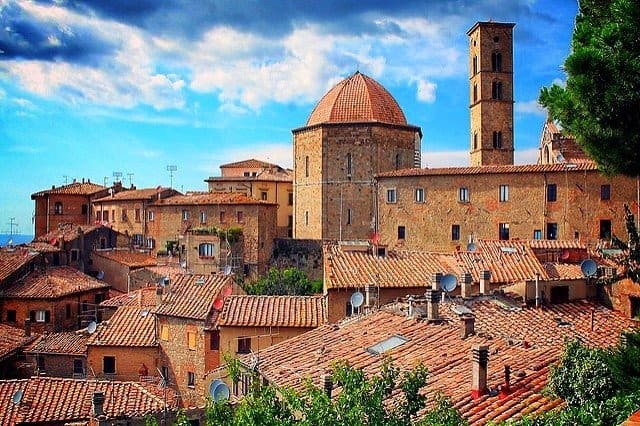 Best of all although Italians have cottoned on to the merits of Arezzo the rest of the world tend to skip it, meaning that you don’t have to deal with crowds of tourists and inflated prices, but instead have the space to enjoy a really authentic Tuscan experience. To really immerse yourself into the Tuscan experience opt for a stay at Laticastelli, the former 12th-century castle turned elegant rural hotel. Surrounded by rolling hills and lush green woodland, it features traditional antique furniture, rustic exposed wood beams, a restaurant with brick arches, stone walls, wine cellar and a terrace and an infinity pool, both with mountain views. 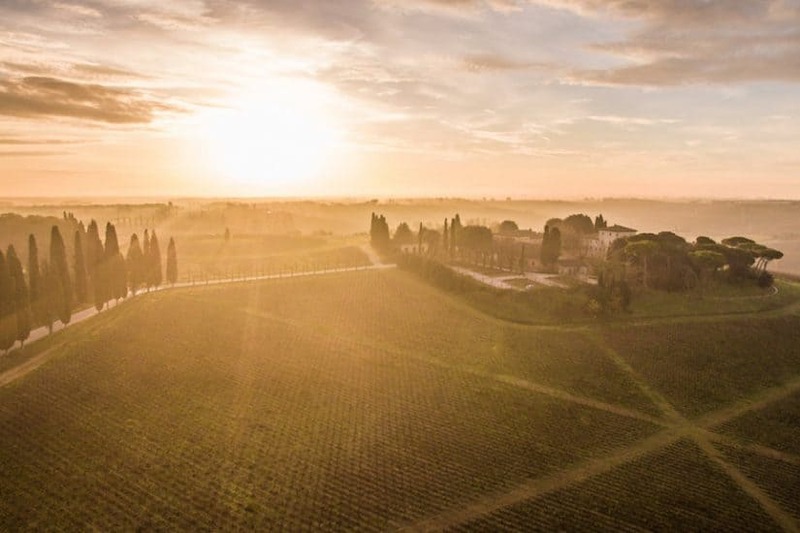 Located into the beautiful Tuscany countryside just outside Siena, it’s base is an extensive estate covering around 1000 hectares, with its own vineyards, crop fields, olive groves, mills and livestock. It offers free parking and a choice of spacious rooms and some come with a jacuzzi, private terrace or a small garden. 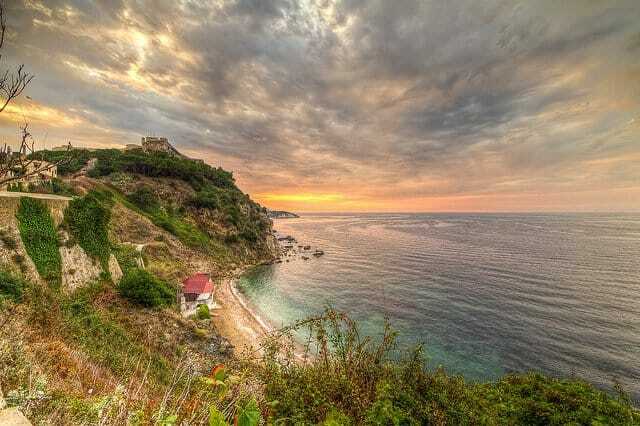 Wow would love to be in Elba right now! Great list! Italy is one of my favourite places in the world, although I definitely need to see more of Tuscany! Tuscany looks BEAUTIFUL! Fab list of the best places to visit! 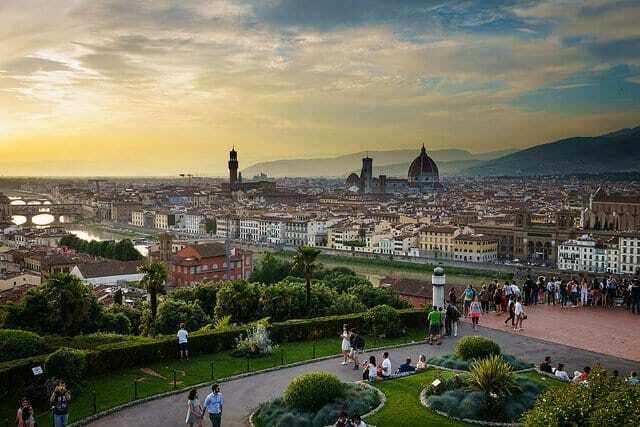 Wow the pictures are awesome and I have heard first time the name of Tuscany. Would love to visit this area in my lifetime! I totally agree with you regarding Volterra..I was a little sceptical that it would be Twilight mania and was so pleased to find otherwise. Volterra was definitely the surprise during my time in Tuscany. Truly beautiful and a great place to buy alabaster! Yes, I think I’ll join you holly!